Prayer/Invocation meditation to restore peace within the family. I wanted to create something that invokes peace and healing for a fractured family. Share with someone who needs this. Helping you move past fear and not feeling good enough to live the life you were born to live. It’s time to shine your light. The world needs it. © Copyright The Path of the White Rose LLC. All Rights Reserved. Meditations and audio recordings are for general information purposes only and not intended to substitute for informed professional, medical, psychiatric, psychological or other medical advice. Never listen to meditations when you need ot be fully awake. We all seek to love and be loved, and isn’t it sad that the one thing we really want, some of us push away? I was talking with a friend the other day, and she reminded me of a saying I used often; “There is a lid for every pot.” I still believe there is someone for everyone, but I also believe that people can sabotage partnership. I know people who make the choice not to love, or can’t open their heart because of having been hurt in the past. I’m sure you know people like that too. You may be in love with someone like that. Or this may be you. I do hope this video and blog post allows you to begin to move into a place where you can create more love within your existing relationship or new attract sacred love into your life. Saint Francis of Assisi founded the Franciscans. They teach that all living beings are brothers and sisters under God. May St Francis of Assisi inspire and help us to walk the paths of dialogue, peace and reverence for nature. A daily forgiveness practice you can use often to forgive and let go and create more peace and enjoyment in your life. VISIT MY WEBSITE ▶ eileenanglin.com for divinely guided life coaching, full length guided angel meditations, Angelic Energy Art, uplifting angel messages and affirmations. My life’s work is to help people to connect to the Divine in their daily life and elevate our world with the help of the archangels. An affirmation for all those who are afraid to shine their light, to be seen, who make themselves invisible. You are here for a reason. Move through your fear. The angels have your back. Would you like to share this? All my images, recordings, and writings are copyrighted. I’d love for you to use this article in your social media or on your blog. Short excerpts of the post can be used. But you must only link to this original article. Contact me for other sharing permissions. Thank you for your moral and ethical cooperation. A quick forgiveness practice you can use often to forgive and let go and create more peace and enjoyment in your life. Work with me. Get angelically empowered with Archangel Empowerment™ Coaching sessions by phone or Skype. A guided meditation you can use every night to end your day with peace and gratitude.Give it a try for one week, and notice how much this elevates and shifts your energy. 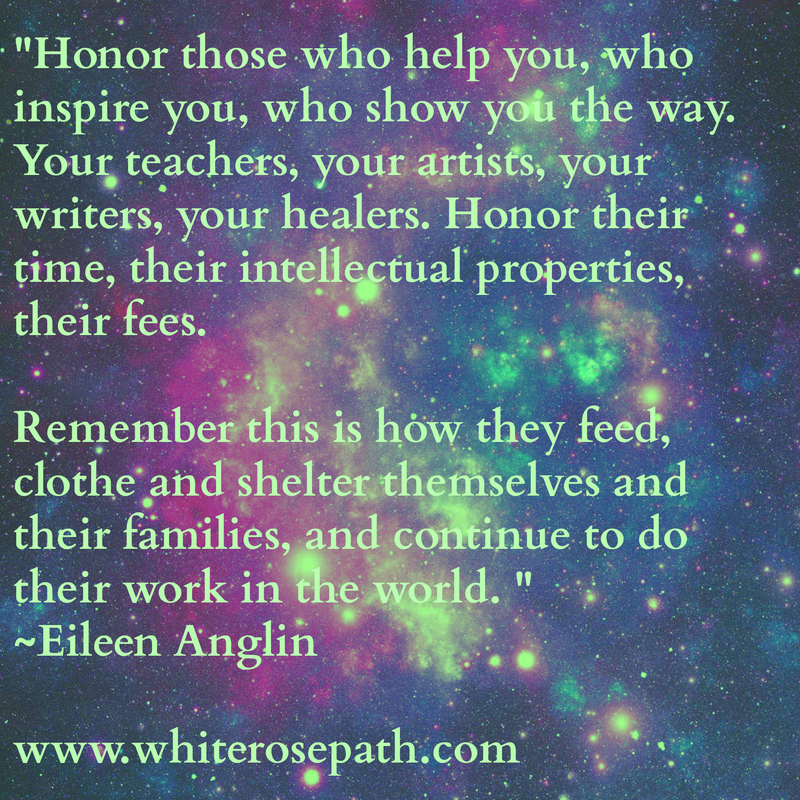 Eileen Anglin whose life’s work is to help people to connect to the Divine in their daily life and elevate our world with the help of the archangels. 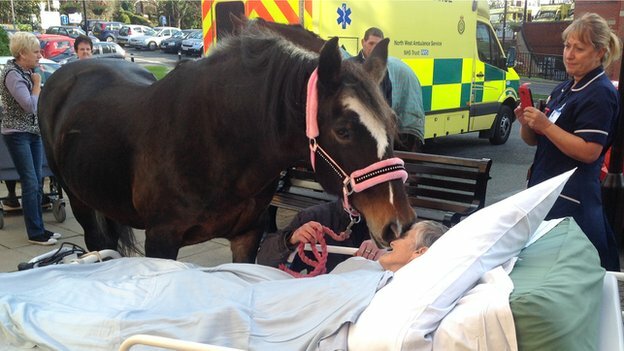 A cancer patient has died after a final farewell to her favourite horse outside the hospital where she was treated. Staff at Royal Albert Edward Infirmary in Wigan granted Sheila Marsh’s last wish, by arranging a visit from two of her horses on Monday afternoon. The hospital said the 77-year-old, unable to speak properly due to illness, “gently called” her favourite horse, who then nuzzled her cheek. Mrs Marsh, who used to work at Haydock Park Racecourse, died early on Tuesday. The grandmother from Wigan had six horses, three dogs, three cats and other animals. But after a farewell visit from one of her dogs last weekend, she told hospital staff of her wish to see her favourite horse Bronwen, who she had looked after for the previous 25 years. Last week I sat down with Tara Sutphen, best selling author and mystic who I affectionately call “The Good Witch of the West” on her show Transformations with Tara. We talked about my art, working with angels, angel empowerment and what our thoughts were about what angels are and how they work with us. I have to say she is such a warm host, as I felt so comfortable. It felt like two friends talking over a cuppa. Grab your own cuppa and give it a listen. It’s the first interview I have done about my ART in 20 years. I’ve done radio before, had my own show, but never talked about my art because I only resurrected my energy art career last year. My love of creating art took a backseat to my healing sessions, public speaking, classes and private sessions. Actually more than just a backseat, it disappeared from my busy healing and coaching practice. Then, just last year, I finally surrendered to the YEARS of whispers and nudges from the angels. It felt good and I wanted to share this moment with you. A completely surreal moment of coming full circle for me. In my early years, I listened to Tara’s guided meditations and read her column with her guide Abunda and it was one of the only outlets and connection I had back in the 80’s in regards to mystical and channeling experiences. I had these experiences as a child and continued to have and develop as a young adult but did not have a “tribe” to discuss them with.Things were different at that time on the East coast. It was just awakening and I didn’t have access to the wealth of knowledge and exchange we have now. Tara’s work touch my life and I really accelerated my early development as a channeler. It was a special moment for me to be on her show. Afterwards, I really had to pause and reflect about my journey and spiritual synchronicity. 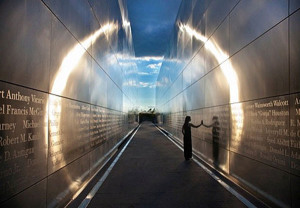 I remember reading Tara’s column back in the 1980’s and being told by my guide Alonya that we would connect one day. How cool is that? I always say, Spirit is the captain of our ship, we sometimes have to just sit back for the ride. Sign up for my newsletter at: eepurl.com/Qlc0L and enjoy the free healing meditation that will put you into a place of peace, balance and elevation in five short minutes for signing up. All my images, recordings and writings are copyrighted. I’d love for you to use this article in your newsletter or on your blog. But you must include credit to me and a link back to this original article. My big brother Mark comes to me in songs. Clannad’s “Harry’s Theme” will spontaneously come on when I think of him, if I have satellite radio on. He was brilliant and beautiful. So this St Patrick’s Day, I think of my brother, Mark. We Irish can be brilliant lights, but tend to find a beauty in sadness, methinks. His birthday was on March 1st. If it wasn’t for my brother Mark, I would not be who I am today. He turned me on to music, to the arts, to science, to science fiction and Star Trek. To exploring the unseen worlds within our Universe. To spirituality and not religion. He was a huge influence on turning my natural inclination to the exploration of the higher realms of thought into something tangible I could bring into my life. I would explore his room as a child and find the books that lead me on paths that made me who I am today. I owe a lot to him. Smart, funny, extremely talented. In his younger years, he was the prettiest of us all. All that I can do well, he could do better. Guitarist, musician, artist, gardener, chef, actor, dancer. He wrote songs and sang them. He wanted to boldly go where no man had gone before. He was willing and able to see in our world and those worlds beyond us what others could not. He was a true son of Eire. Architecture, interior design, and more ∨Before starting a bathroom remodel, search for bathroom ideas and interesting products, including one-of-a-kind tubs, vanities and bath sinks. Tags: Butterfly, Garden, the Monarch Project. …..A Tale of Two Brothers. I apologize for the long stretch of time between the tale of Two Gnomes. If you are just joining us, you can read Part I here. The truth of it is, I have a Gemini moon so my mind and my energies travel where the winds flow. And they flowed in many directions this past month, my friends. A.O inspects the Brothers Gnome upon arrival. A.O our resident overlord and Master of the Golden Light Ray helped me paint these two. He was sincerely interested in all stages of their transformation. A.O. Making sure his directions are carried out..as per usual. I know these are statuary. But regardless if people think I’m Nutsy Fagan, I’m going to tell you that there were some mystical moments with these two. From the moment they sat outside in my garden, which has very active Devic energy, there was a lot of Nature Alchemy and spiritual synchronicity at play. Our love-bug Ellie weighing in on the finished Brother. What was interesting is when these two first arrived, I put them out in the herb garden, flanking a young crab apple tree. Within days, I began to get complete images of what they wanted to look like at the end of this make-over. If and when I veered away from that during painting, I had to correct it or could not move on with my day. It would be a little nagging thought at the back of my head all day and night. For example, I did paint this one’s beard and hair grey, as my first vision had shown me. But then I changed it to blonde because I thought it would be more cohesive. After I did so, I had this little nagging voice inside my head saying; “No..no no! Change it back to grey!” When I did change it back the following day, it just felt right. All was right in my Brother’s Gnome world once again. Brother Gnome loves his new shirt and crystal friends. This sort of thing happened throughout the process. If I painted outside the vision I had received from their arrival in the garden, a nagging went on day and night until I stuck with the plan. Stay tuned for the final installment of Extreme Gnome Makeover to see how important those details were and how that tied into some interesting revelations when they arrived back in their Oregon home. All of Eileen’s images and writing on this blog are copyrighted. I hope 2014 brings you closer to your highest vision for your life. A lot of people are setting intentions now. New goals. Unfortunately for many, by this time next week, despite their good intentions, the truth is, they will fall back into old patterns and habits. Whenever we are doing something that is opposite of the direction we want to go, we have to understand it’s our old programs running. Another part of you is driving the bus of your life and it may not be in alignment with your new vision and goals. So, when you find that you are not taking steps needed to fulfill your goals, we have to delve into why. Who’s really running the show? What is creating this resistance? Finding that part of you (usually the inner child-the you under the age of 10) finding out what it fears, what is he or she keeping you safe from? Criticism? Failure? Shame? Abandonment? Being seen? Then creating tools or taking steps to give that part of you what it needs to feel safe enough to let you move forward. Ask your self what loving thing you can do this week that would move you forward towards the vision and goals you spoke of? And let the heart float up your answer, not your head. Your heart , the seat of wisdom, knows how to get you to point A-to point B, not the head. If this is something you’d like to explore, hire a life coach who can guide you along this line of thought and help you come up with some action steps and help with accountability in taking those steps. Excuses can come up when we attempt to take action on our dreams and a coach can assist when that is occurring. Make 2014 a pinnacle year. Make it the best year. Make it the year you took steps to create peace, balance, health, fulfillment and actually followed through on it. Sign up for my newsletter at: eileenanglin.com and enjoy the free healing meditation that will put you into a place of peace, balance and elevation in five short minutes for signing up. I know someone who really loves her gnomes. In fact, we call her yard “Gnomehorn” after the famous garden of Findhorn that has a lot of spiritual energy. But her gnomes were bleached white by the sun and it’s elements. Especially two of them that meant a lot to her. They spent the summer next to a baby crabapple tree in my herb garden and in the fall, the makeover started. Finally..my hat has color again! Out of the two, he definitely colors outside the lines, so to speak. I will be posting his brother’s makeover later this week. Stay tuned! Eileen Anglin, award winning Angelic Energy Artist, Certified Integrative Coach Professional™ specializing in Breakthrough Shadow Coaching.Founder of The Path of the White Rose® LLC. author, teacher and Earth Activist. This happened 2 weeks ago, but just now getting a chance to post about it. I can’t tell you how thrilling it was to have them come into the sanctuary I created as they make their long trek south. If you have been following my blog and my little backyard project, you know the Monarchs are in serious decline. The photos I took were of four individuals that I saw that day. I don’t know if four is an encouraging number or not, as I am pretty new to all of this. What I do know is that the monarch larvae that were in my garden this year ( if they survived the many preying mantis I have around here) will come back to me in the spring, like kids coming home to where they were born and raised. And that my friends, is a beautiful thing. Eileen Anglin, award winning Angelic Energy Artist, Certified Integrative Coach Professional™ specializing in Breakthrough Shadow Coaching. Founder of The Path of the White Rose® LLC. author, teacher and Earth Activist. Tags: Cape May New Jersey, Monarch Butterflies, Monarch butterfly, the Monarch Project. Last night I saw something that ranks as one of the most amazing things I have ever seen. 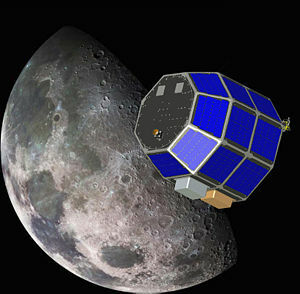 A rocket, launched by NASA came over our house and went to the moon. I mean, we literally saw the engines glow, a trail of orange behind it and then the separation of the rocket in front of us. It looked like it was right in front of our house. Then it went out to the sea. Those who know me well know I am passionate about space travel, and if I had a mind for math and humans lived longer lives, I would have loved to have been an astronaut. My birthday is in a few days, and it’s a milestone birthday. I joke with my husband that the angels gave me a rocket launch for my birthday. It was absolutely amazing. Breathtaking. Can you imagine if the countries of the world spent money on resources and services for people and our environment, space exploration instead of war, what we could accomplish? Please join me in helping these soldiers, who have been like angels to these animals, to bring them back home to the US by the June 1st deadline. These animals have also been angels for these soldiers, who have been away from home and loved ones. The men and women who have sacrificed so much for us, think of how devastating it would be for them to leave their animals behind, to an uncertain fate, most likely death. They have already given up enough, let’s give these soldiers and their animals, some PEACE. More than 30 U.S. soldiers’ pets need your help before time runs out! SPCA International’s (SPCAI) Operation Baghdad Pups Program needs to rescue these animals from war zones overseas by June 1st. But we can’t do it without you! Lissa Rankin writes about veering off course and how you might auto correct. This post is what I call my “guest bloggers.” Blog posts I happen upon that I feel are aligned with POWR Blog, inspiring and empowering to others. This is a wonderful compilation of wonderful and useful reads by women and for women. (Actually, for anyone) Bless the author for putting this together! 100 Top Inspirational & Motivational Books by Women. ETA: Many people have emailed me to ask about Flopper pictured in the post. We saw Flopper in our yard and it was apparent he had a damaged wing from something. A bird or a praying mantis probably. He was able to fly, but not easily, flopping around. We have a butterfly garden, so he was hanging out in it. We read on the internet that you can repair the wing by cutting the other one to match the injured one. It creates the balance they need to fly. But we couldn’t catch him. Every day we tried, but we needed a butterfly net. He was in our garden until migration time and we were concerned he would never be able to make the migration. I tried to catch him and was planning on overwintering him if I had to. One day I didn’t see him at all. Did a bird or a mantis get him? I can only hope he tried to make it down south. Like many birds, butterflies like Flopper migrate and return to their place of birth every year, mate and create new generations in their place of birth. We hope to see a butterfly flopping about in the spring, and if we do, we will be ready with the butterfly net to try to restore his wing. Say a prayer and send any tips you might have for us that can help him. Inspired by her deep love and sense of responsibility for the environment, Snatam says, “My intention for this song and this video is that it will help all of us awaken to our role as stewards of the planet.” Directed and photographed by Robin Layton with music produced by Thomas Barquee.. I feel that this elegantly and honorably written article gives complete insight and understanding and will answer any questions that you may have. Aho! Within the cultural paradigm of which I come the thought of ‘paying’ for a Ceremonial never comes up because the thought of NOT paying is never considered, so there is never the need to put a ‘price tag’ on anything of a spiritual nature. We Spirit People who provide a spiritual service, at home in a tribal culture, may wake up to find a sack of corn, a haunch of venison, an envelope of cash or some other valuable gift upon our doorstep. A person who receives help from us Spirit Peoples will continue to provide gifts for years to come. My Spirit’s Calling IS my Life. As such, the expression of that Calling is, and must be, the means of supporting my worldly existence so that I can continue to bring my Spirit’s Calling forth. So, when you see a ‘fee’ associated with a Ceremony, that monetary exchange is not a payment for a Ceremony. It is a contribution to, and support of, the continuance of my life and worldly responsibilities (rent, food, transportation to your community, my kids’ shoes and bicycles, an occasional movie…you know, the stuff of life in the world) so that I am able to continue to present ‘the Ways’ to you, and to others down the road. ~A statement of direction given by the Ancestral Spirits of my lineage. Life, in this incarnation, is finite. We have only a limited amount of time upon this planet, this lifetime. Every moment is an expenditure of a very precious resource…our time. Life Force (Shamanically referred to as Power) is generated with each breath, spent with each action. Every endeavor, deed and minute of our life has an inherent investment of Power within it. The spiritual economy of Power underlies our interactions, relationships and the way in which we spend that most precious resource of time. When an individual goes to work they are expending a quantum of Power, quantified as time on the job and the investment of previous time spent in developing that particular skill (training, work experience, etc). For this the worker is compensated with money. That money represents, symbolizes, the investment of Life Force given on behalf of the employer. As the symbol is the thing itself, money equates with Life Force. The person who has been compensated then spends the cash, transferring that portion of his/her Life Force to another who is providing the product or service that is being purchased. This product or service also has an investment of Power within it, as the provider has spent time, i.e. Life Force, in the creation of the offering. Our spiritual balance requires the maintenance of an equilibrium of Power within our Soul. When we start from the assumed place of inner balance and then extend a charge of Power to another, be it a lover, a friend, in a business transaction or to one who provides a service, there is the a prior agreement that there is to be a fair exchange, an equal return of Life Force in some other accepted form. In that moment we enter into, willingly, a state of negative equilibrium. When the exchange is fulfilled by the partner in the agreement returning an equal dynamic to us, we reenter a state of neutral equilibrium. When the partner receives our willingly given charge of Power, in whatever form it may be, a teaching, a product, a payment, etc, that partner is in a state of positive equilibrium. Only when the partner returns an equal quantum of Life Force does the partner reenter a state of neutral equilibrium. If, when we have from a fair assessment of trust, given a charge of Power to another and the partner does not return a significant charge, or even anything, in exchange, we, the giving party, enter into a state of negative disequilibrium…we feel ‘burned’, robbed. The partner who has snubbed or deceived us is now in a state of positive disequilibrium, which creates a spiritually toxic state. Imagine that you have just expressed your heartfelt care for your mate/child/friend and that person turns and ignores you. That feeling is what I am speaking of. And the partner who has just taken your offering and kept it is, in actuality, perpetrating an act of theft upon you. This type of behavior, unfortunately so prevalent in today’s societies, disempowers, literally, the giver and causes separation, illness and discord in the life of the taker. When we give and receive in fair exchange, all parties experience a communion with humanity, a trust validated, an encouragement to risk. A thing of beauty ensues. Let us be in awareness of the rightness and goodness in the sharing of our Life Force with each other, be it with a kind word of appreciation, the willing balancing of our karmic accounts or the honor of payment for spiritual services rendered. I hope with these words and investigations to bring clarity to a question which arises in the arena of spiritual teachings and money. Did you know that our honeybees are in trouble? Honeybees are different than wasps, bumbles or yellow jackets and are vital to the pollination of crops. Without them all life on the planet would suffer. But there is so much you can do to help! And here are some ideas. 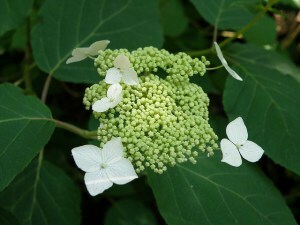 This is a link to NJ project to increase the honeybee population. Please see about one in your state. What is Your Meditation Style? Yes, You Can Meditate! It is has been said, “Prayer is talking to God, meditation is listening to God”, and I would agree with that. Keeping that in mind, whichever way creates a space within your day, within your being that allows you to achieve that state of focus, is meditation and is effective. Be it for 5 minutes or 60. Do what you can! If you can’t do it everyday, it’s okay.So many people feel guilt if they don’t mediate, the “all or nothing” approach and create unrealistic expectations for it to be a part of their life. Also remembering everyone is wired differently and so whatever works for you, is what works for you! Don’t compare yourself to others in regards to meditation. For example, some people need quiet to meditate; some people need the room to be dark. Others like the sun, others need music. What brings you to a higher space? To YOUR particular sacred place inside your head? For example, it is easier for me to meditate with music, but when I first began meditating, I learned to do so with guided tapes. I began mediating in my late teens when I discovered Richard Sutphen’s guided meditation tapes. Some people have trouble visualizing, others have trouble with the intruding thoughts. If your not visual, that is okay, allow a sense of what the guided journey is taking you, If your mind won’t stop thinking about the tasks and conversations that are in your day, hearing someone else’s voice in a guided meditation may help you. The voice inside your head that keeps thinking about the phone calls you need to make, etc, we all have it. Some of my students find it helpful if you acknowledge it, let it know you received the message and will remember it later, it can quiet it. Or keep a piece of paper nearby and write down the message the voice wants you to hear so you can go back to meditating. Keep in mind that walking and other activities that are rhythmic and healthful can create a meditative place within you. Swimming, dancing, walking. I have had some of my best “listening to Spirit” meditative moments walking in nature. I live by a park with trails that allow me my strong connection to the Earth and Nature Kingdom to renew me in body, mind and spirit. Yoga is also meditative for people. Part of it’s life changing effects for those who do it often is this meditative state it creates. So you see, it simply is a matter of finding what works for you. Throw away the false assumptions, comparisons and expectations. Don’t be hard on yourself, enjoy it.